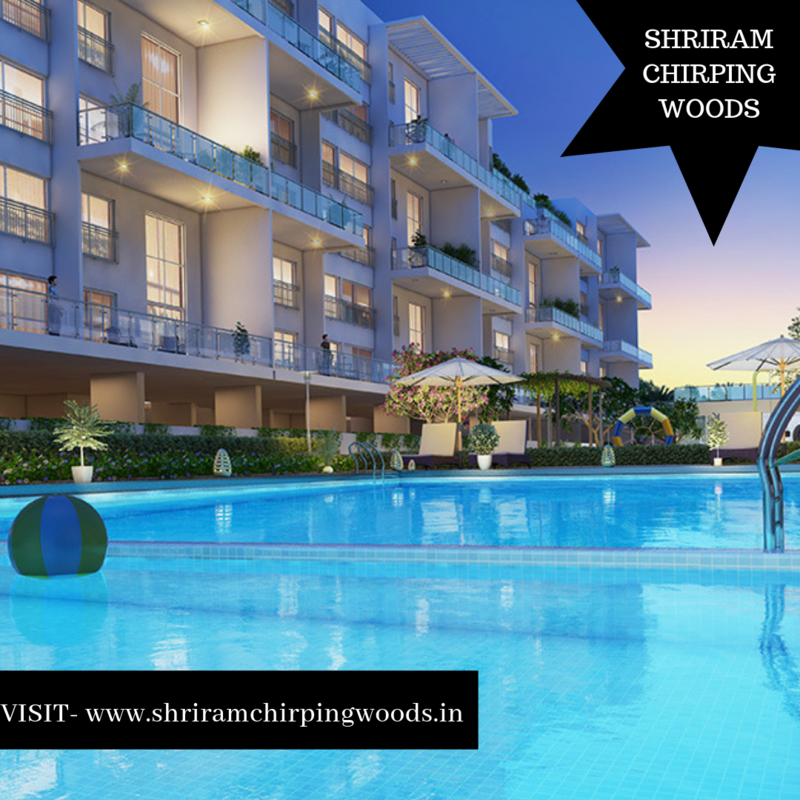 Shriram Chirping Woods: Huge Residential Complex Offering Latest Living Comforts And Modern Lifestyle Benefits! Shriram Chirping Woods is a residential complex offering exclusively large properties with state-of-the-art living comforts and facilities. If you have been searching for an opulent home, look nowhere else but here. These penthouses and 1,2,2.5, 3, 4BHK and 5BHK villas are fabulous in their interior style and design, giving an enriching living environment where all your needs are catered. When you look at the architectural features offered in this complex, you will be amazed at its modernity and also functionality. Everything that is lavish has been brought into the villas and penthouses here, yet all these features offer comfort and excellent utility. Such thoughtfully designed homes cannot be found anywhere else in the market. By purchasing a unit here, you gain a large home, with stylish interiors that offers all the latest comforts such as modern flooring, spacious rooms, modular kitchen, wide balances and much more. You can enjoy a very comfortable life with your family here. Situated in 12th Main Road, Sarjapur Road, Harlur, Bangalore, the property’s location offers easy access to so many places of interest. 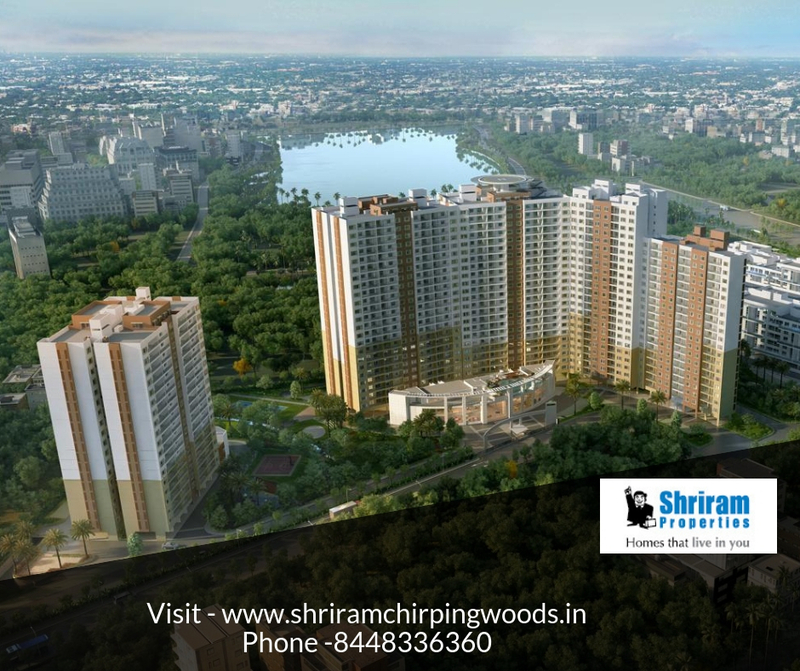 Nothing but the very best has been included in Shriram Chirping Woods Bangalore. You can enjoy the latest clubhouse facilities, which enables you to keep fit and healthy. This is very important for good health and overall well being. You can enjoy the beauty of Mother Nature every day as the area surrounding the villas and penthouses is beautiful gardens. You can enjoy a beautiful green space very close to your living area. This cuts away noise, pollution, and ushers in a refreshing environment where you can walk or jog every day. All that is needed to cater to your everyday living needs can be found inside this the complex. Grocery stores and retail shops are present to cater to your daily needs. You can indulge in sports, else go to the library or perhaps take a swim. With so many recreational opportunities there is never a dull moment. Come and invest in a grand property here to enjoy a lavish lifestyle. The aesthetically pleasing interiors coupled with modern clubhouse benefits go to making your life enriched and wonderful. 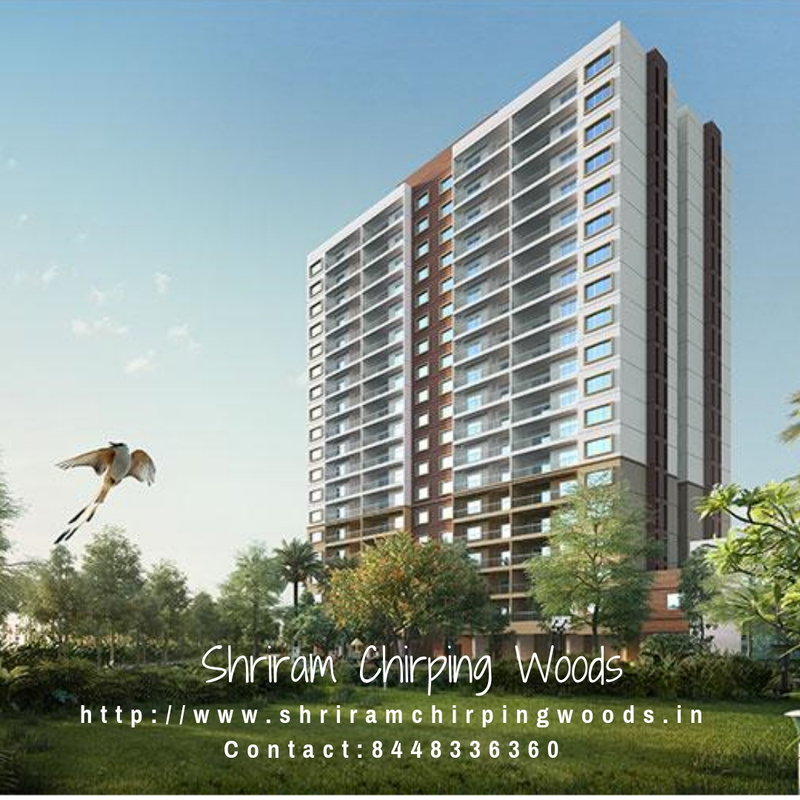 Shriram Chirping Woods Price is low so make a purchase right away. In the coming years, the value of these properties will rise quickly to give good returns. Sarjapur is a fast-developing town of Bangalore with good transportation and road connectivity. The town is in close proximity with the key IT cluster areas like Whitefield, Electronic City, Outer Ring Road, Marathahalli and Koramangala. This has led to the quick development and growth of the real estate industry in this area. 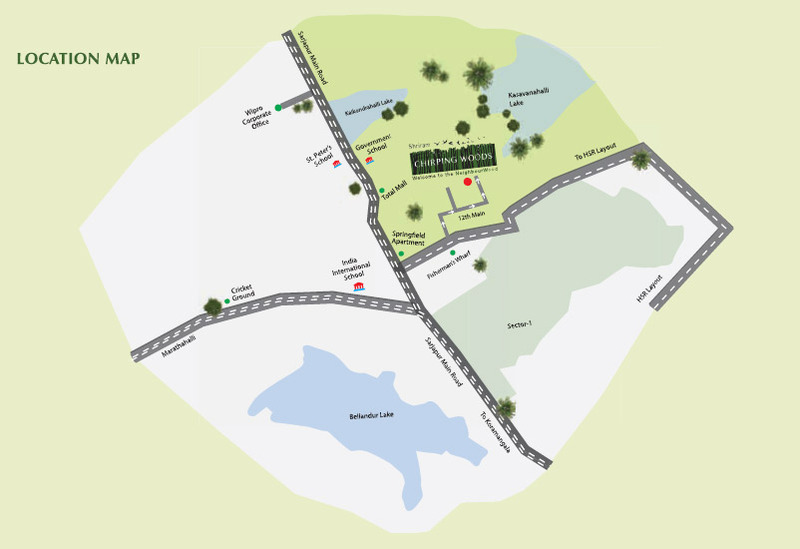 If you are looking for buying property in Bangalore then you can consider Shriram Chirping Woods residential complex. The township provides exclusive apartments entrenched excellent living comforts and amenities. The project providing the variety of modern and sophisticated amenities has grown to be a hot property in Sarjapur Road for the homebuyers and investor. Living in a spacious open abode set in plush greens is hard to accomplish a task in the city of Bangalore. Embellishing the housing dreams of this grand city Shriram Housing has launched a magnificent residential project named, Shriram Chirping Woods Villament. The extensive property is located at Sarjapur Road, the new development hub of the city. The estate offers beautiful 4 BHK villaments with total area ranging from 2650sq.ft to 3600 sq.ft. The keenly designed gated community has numerous shared facilities for its residents. Safe and secure the complex has multi-tiered security active 24*7. Living in an abode in this estate not only binds you to a tight-knit community but also guarantee privacy and ease of living. With ultimate indulgence being a mantra for life in the estate, the residents have access to incredible amenities for their pleasure and leisure times. It has lovely water features, green landscapes, and many other rejuvenating features. You can find your gratification in a variety of features such as swimming pool, kids’ play area, amphitheater, indoor and outdoor games, etc. Shriram Chirping Woods Sarjapur Road promises smooth access to the rest of the city. The physical infrastructure of the region is set to further improve in coming times and the proposed Metro Phase 3 is set to reach its grounds. The property is being considered a favorable property option for end-users as well as investors. Shriram Properties is one of the premier real estate developers in India. Ever since the foundation of the group in the year 1995, the group has developed several successful residential and commercial projects primarily in South India. The real estate giants till date have developed over 20 million sq. ft and another 5.85 million sq. ft. is under development. The main aim of the group is to satisfy its customers, deliver the best quality and on-time delivery of the projects. The group is also the recipient of various awards including Real Estate and Infrastructure roundtable, Awards by DNA and 9th Realty Plus Excellence Awards (SOUTH) in 2017. Also, some of the other awards include Assocham-Award 2015, Assocham-Award 2014 and Assocham-Award 2013. Located at Harlur Road, Off Sarjapur Road, Bangalore.